Today, rivets are often used as a replacement to traditional nut-and-bolt or welding applications. The improved speed and efficiency that rivets provide have made them extremely popular for the assembly process. Blind rivets, especially, are invaluable to countless industries requiring the manufacturing, installation, and maintenance of specialty equipment, including agriculture, transit (truck, bus, and railroad), aerospace, and alternate energy (wind and solar). But are all rivets blind? 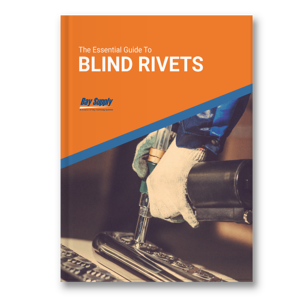 If you are unsure about what sets blind rivets apart from other fasteners, when to use them, or what type of blind rivet to use, download our free e-book. We are more than an e-commerce website; we are here to serve you and your customer's fastening and tool repair needs.